Almost 15 years since the first mainstream 3D animated film was unleashed, our country is finally catching up to the world. 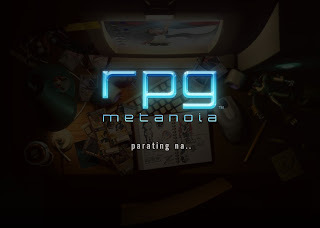 "RPG the Movie (RPG Metanoia)" is the Philippines' first (and hopefully not the last) full-length salvo into the 3D animated genre. The film stars Zaijan Aranilla (who became famous as Santino in "May Bukas Pa") and the veteran Aga Muhlach. Supporting the main stars are two outstanding comedians with Vhong Navarro and Eugene Domingo. The story revolves around Nico and the MMORPG Metanoia. Catch the reveal trailer after the jump. Not much has been revealed about the film since its reveal in 2008 but we can definitely say that it has potential. Catch "RPG the Movie (RPG Metanoia)" when the 2010 Metro Manila Film Festival starts rolling this December.